Hey everyone! 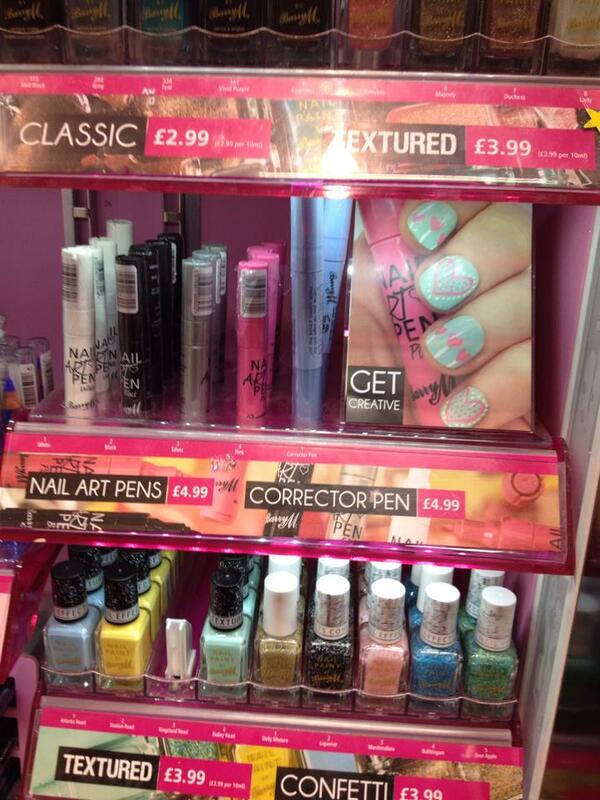 A while ago Barry M got in contact with me to ask if I would be willing to have my designs featured on Barry M stands in Superdrug. Of course I absolutely jumped at the chance, and I was so so excited when I went in to Superdrug and saw my designs for the first time. They asked me to create one more design using their nail art pens, and then they wanted to use one of my original designs too (which I know many of you have already spotted on stands!). The design I decided to create is this simple paisley design, it took barely any time to do at all and it looks great, especially on different coloured base colours, or you could even do a gradient if you prefer! I believe the base for these nails was Barry M - Bright Pink, and the blue is Barry M - Cyan Blue, but I cannot for the life of me remember. Luckily I've started keeping a book of all the colours I've used for each design so this forgetfulness shouldn't be a problem for much longer! 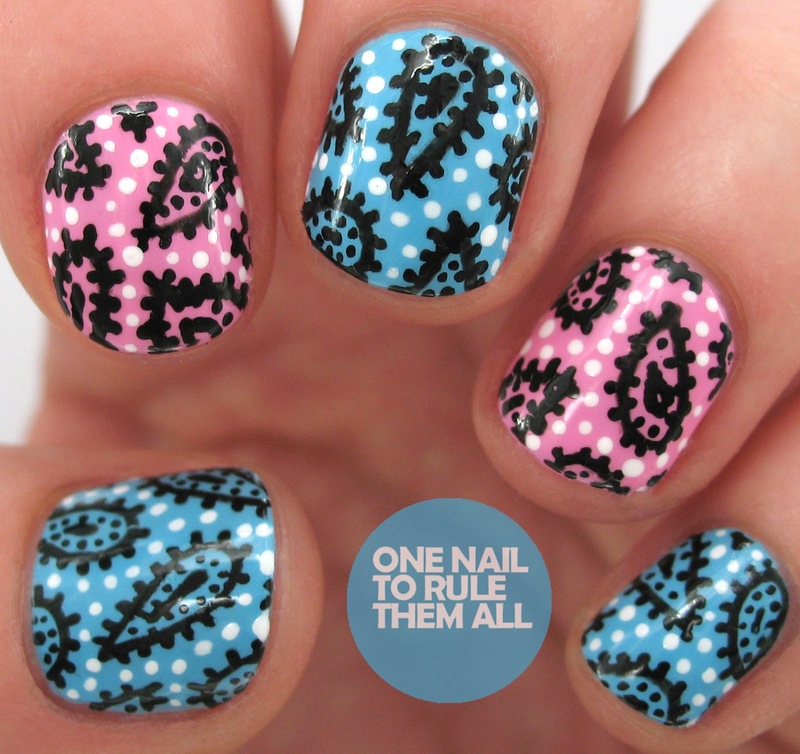 Then I used Barry M - White Nail Art Pen and Barry M - Black Nail Art Pen for the paisley. That is so cool! I would freak out if my nails were part of a nail display. Love the paisley design too! I think I would actually die if Barry M asked to use my photos on their stands. Unlikely to happen, so I'm probably safe lol, Congratulations though :) And I love the paisley. 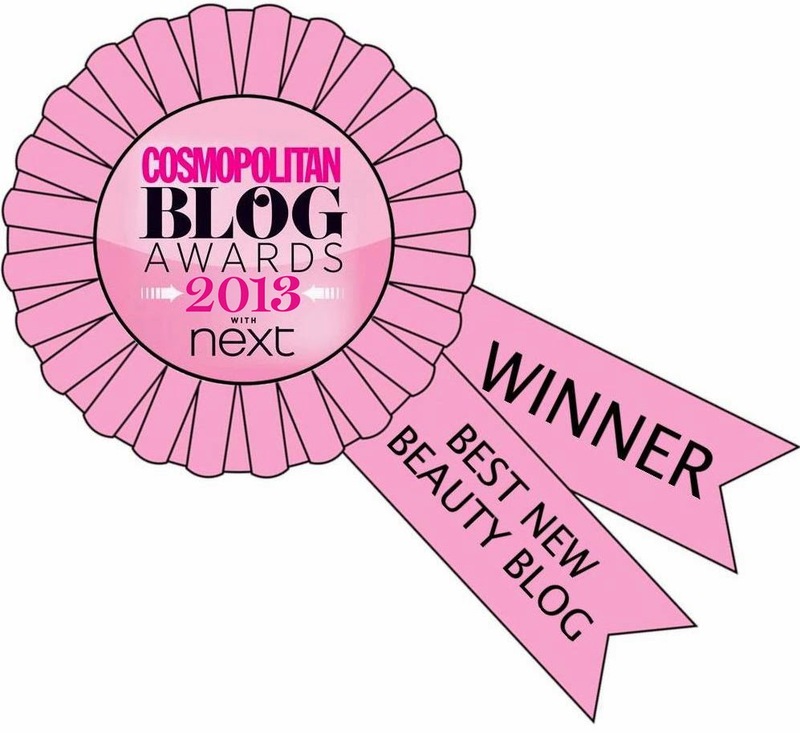 Oh my gosh, this is so exciting! It must be surreal to see your nails like that! Congrats!